Here you will find answers to many of the questions that you may have about the process of purchasing Charleston Real Estate. I also invite you to email me at info@echarlestonrealestate.com, call me at 843-224-3233, or contact me directly through the contact page with any questions you may have. Q. Should I get a home inspection? Roof - Roof sheathing needs replacing. HVAC - Heat pump or air handler needs replacing. Duct work / Insulation - Duct work has leaks, is damaged or is missing insulation. Electrical –There are electric panel or wiring issues. Plumbing –There may be leaks and/or pipes may need replacing. Foundation –There are issues with the foundations or cracks that indicate possible structural issues. Windows – Window seals require replacement or the remaining life and functionality of the windows is questionable. Q. Do I need to be pre-approved for a mortgage loan? No. However, my clients have worked with a number of mortgage loan officers in the past and I would be glad to recommend them to you. Q. How long have you been a Charleston realtor? 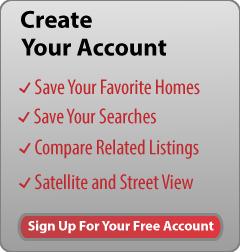 I have been a Charleston realtor since March 2003. Q. What communities do you specialize in? I specialize in the following communities/towns: Mt. Pleasant, Daniel Island, Sullivan's Island, Isle of Palms, Wild Dunes, and Historic Charleston. Q. Will you be my buyers representative? Yes. By signing the exclusive buyer agency agreement, you agree to hire me for a specified period of time. In return, I promise to help you select the most suitable home for your needs and to ensure that all advice and input I give you throughout the process is honest and objective. In order to become a client, you must sign a buyer’s agency agreement. It is completely understandable that you may be reluctant to sign an agreement to work with me for a specified time without having previous experience of my work. However, you can enter into this agreement safe in the knowledge that my buyer agency agreement allows either party to terminate the agreement upon written notice for any reason. Q. Will you be at the closing? Yes. I will guide you every step of the way throughout the purchase process and will be at the closing with you. Prior to closing, we will complete the final walk through of the home and review the closing documents to make sure you understand them and no unintended commitments are made.